This Friday we’re back at Empire for February’s edition of Peligrosa! 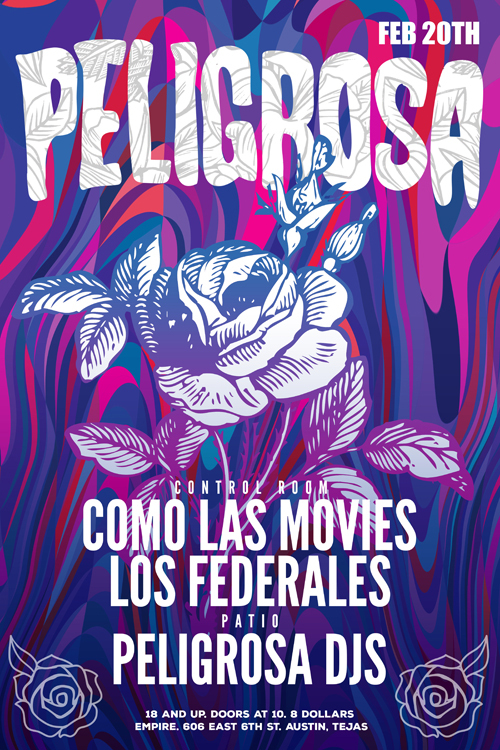 Last month’s anniversary party was our first night of the new Peligrosa format: Peligrosa crew on the patio and live bands in the control room. It was a great line-up of talent and this month party is no different. We’ll have Los Federales and Como Las Movies in the control room and we’ll be holding down the patio. $8 cover gets into to both! Join us! FB Event.